Weber Shandwick's UK & Ireland CEO Rachel Friend certainly lives up to her name - her management philosophy is one of collaboration and cohesion. PRWeek UK looks at how this has made the agency's consumer division a force to be reckoned with. Almost imperceptibly Rachel Friend’s eyes narrow, her jaw tightens and she sits a little straighter in her chair. Weber Shandwick’s recently appointed CEO for UK & Ireland looks wary. 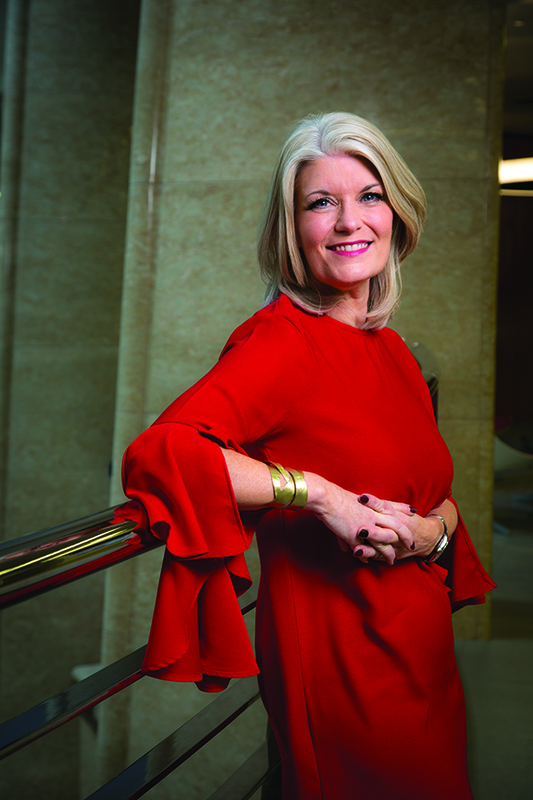 All PRWeek did was ask how she feels about being the most senior woman in the UK PR agency world and the startling transformation of Weber Shandwick from an agency that was corporate in every sense of the word, into one of the top three consumer agencies in the country. Weber is also the third largest consultancy in the UK behind Edelman and Brunswick, with the most recent figures (for 2016) showing a turnover of an estimated £47.75m, up by a very respectable 11 per cent on the previous year. Weber Shandwick does not report separately on its own performance or that of its practices, but former executives say the growth of the consumer division has been closer to 20 per cent a year since Friend arrived eight years ago. They estimate consumer revenues could be worth £10m a year to Shandwick, which would make the consumer practice a top 30 agency on its own. Many people might allow themselves at least a moment to luxuriate in their achievements. But Friend, despite being renowned for her easy affability (a classic case of nominative determinism), really does not want to present herself as the cause of her agency’s success. "I think I’m in good company. There are a number of senior women in leadership roles in large agencies in London," she deflects. "I didn’t build up the consumer practice alone. It’s a team of many parts. I could not do this on my own." However former Weber Shandwick execs say that while she did not do it on her own, Friend was the galvanising force behind the growth of Weber’s consumer division. "There’s no doubt that within three years she transformed Weber into a thriving creative consumer agency," says one. "Obviously she had a team, but she created and led that team. From where I was sitting she was without doubt the main catalyst," says another. Part of her reticence is for legal reasons. The US Sarbanes-Oxley law means that as Weber is owned by US comms giant IPG, she cannot make unaudited statements about the size and performance of her company. A run-in with the Feds is not on her to-do list. But the underlying issue is she is absolutely determined not to appear boastful in any way. It is not simply a matter of natural modesty, and personal preference; it seems to be a deeply held managerial philosophy. Phrases like "most senior" or "biggest" could imply that other people are more junior, that other practices are smaller. That could be seen as empty boasting that disparages others. So, they may be everyday currency for most of us, but for Friend, they seem to be a form of ideological Kryptonite. "Our secret sauce is our collaborative spirit," she repeats. And in her book, one of the keys to being collaborative is not to say anything divisive. So her style is modest, measured and understated. It is a million miles from the cliche´ of the blustering PR know-it-all who will say anything as long as there is a headline in it for them. Perhaps it is a mark of how much more there is to do in gender diversity, that it is still almost impossible to interview a woman without talking about the fact she is a woman. So it is tempting to interpret this apparent lack of ego and talk of collaboration as an example of a female management style. One might even argue that if you sketched out the attributes of a modern business leader, you would sketch out a woman. But Friend is not having any of it: "I think that the right leadership skills, collaboration and so on, manifest themselves in both men and women. I’ve worked for great men. Colin Byrne [Friend’s former boss and predecessor as CEO] is a feminist. And Andy Polansky [Weber Shandwick’s network chief] is a man who exhibits everything we are talking about." Either way, Friend has taken over at a time when Weber Shandwick seems to be at the top of its game. Revenues are up, but it is in the area of creativity that the agency seems to be shining. To mention but a few recent accolades, Weber Shandwick is PRWeek’s current Consultancy of the Year, Large Consultancy of the Year and Global Agency of the Year. It is also the PRCA’s International Consultancy of the Year. At the Cannes Lions, Weber Shandwick EMEA is the most awarded agency in the region, with six Lions for UK campaigns including its work with ActionAid UK on the Brutal Cut campaign to stop the circumcision of young girls in Kenya. Friend joined Weber in 2010 as MD of its consumer practice from Sainsbury’s, where she was head of consumer PR, responsible for brand, product, CSR and local comms strategy. "My mandate was to grow the consumer practice and make Weber Shandwick famous for consumer work," she says. She swiftly marked herself out as potential CEO material by leading a coruscating series of new business wins around the upcoming 2012 Olympics: "It’s not often in your lifetime that the Olympics comes to your home town. So, in my first week we pitched and won top-tier sponsor EDF, we pitched and won GSK and part of that remit was its Olympic sponsorship; we pitched and won Sainsbury’s Paralympic sponsorship. Finally, through our sister agency De Vries Slam, we also worked with Puma and the Jamaican athletics association." The symbolism of those wins was as important as the revenue they brought, says Friend: "We wanted to go out and win and activate large consumer campaigns. It was an outstanding experience for everyone in our consumer practice. It was an internal rallying cry to motivate and fire our imaginations and it catapulted the ambition and growth of the consumer practice in London." At the time, however, Friend felt the agency was not organised in a way that would serve clients’ best interests. A mark of this was that each of its practice areas had its own P&L – statements of profit and loss. A separate P&L can be useful as a management tool to assess performance. But Friend felt strongly that it could also fatally undermine her ideal of collaborative working because it encourages people to put the interests of their silo or practice above the interests of the whole organisation. "That’s why since taking over London operations [as MD three years ago] I have smashed all our P&Ls together," she explains. "We now have one P&L so that we can be client-centric. When I joined we had all those separate practices; now our top 40 clients have people on them from right across the business." She says the move was the direct result of having been a client herself and having seen agencies trying to impose their internal structures on clients’ business: "I knew if an agency brought people to a meeting, and introduced somebody from this or that practice, that was sort of interesting. But what I wanted to know was why they were in the room and how they were going to help me. So, we now coalesce around our clients and bring together the very best talents across the agency to ensure we have the best people in the room to answer the clients’ brief." 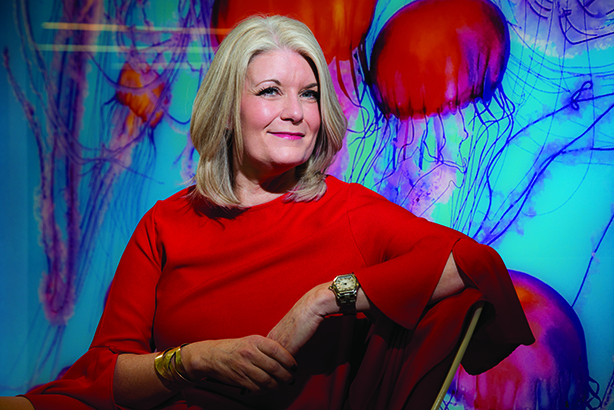 Yet again, she emphasises her commitment to collaboration: "It’s absolutely at the core of our DNA here and that’s collaboration across the office, across different client teams, across offices around the world and across continents and regions." Sometimes taking away P&L from a practice is in effect a demotion or at least a reduction in status for the practice leader. So it can be difficult to implement. But Friend says separate P&Ls have not been abolished, they are just used differently. "We still absolutely identify as practices here, so the MD of healthcare and the MD of consumer absolutely know what the portfolio of clients in their practice is worth. We continue to have deep sector and practice expertise but we bring together a client team that will bring in the right people from across the agency and then we incentivise our client leaders on that." At the same time, she has overcome potential resentment from internal grandees by trying to forge the practices into a cohesive unit: "I have worked very closely with the management team in London to develop an environment of openness, trust and integrity, working with one another and talking to one another in plain language and understanding that we are speaking the truth to one another." This is particularly important because the past decade has been a period of disruptive change for the PR industry and Friend believes the next 10 years will be no different: "I can’t see the pace of change slowing down. Change is the only certainty." It is a challenge that can only be met by everyone in the enterprise working together. She suggests: "As we are going through a period of change everyone has an equal voice in that change, everyone can share their hopes and fears and we will overcome them together in a collaborative, consensual environment." Her management style for those who resist, is not to coerce but persuade. "I will lean into people’s fears," she says, "and we will have a conversation about what they are afraid of. And then we will have a conversation about what works for everybody." The agency’s ambition, she says, "is to be the world’s pre-eminent PR firm". It is a very un-Friendly mission statement that sounds odd coming from her lips. As if it was written by senior Weber or even IPG executives. To ensure that the ambition is fulfilled, Friend has been trying to reshape her agency for an uncertain future. But two ambitions run through everything she has done: "First we want to provide best-in-class client experience. We absolutely want to be a trusted adviser, to help navigate them through the ever-changing media landscape. So, we’ve been growing out the different types of skill sets here that we need to be at the cutting edge of the media landscape. Flexibility and data are the keys. 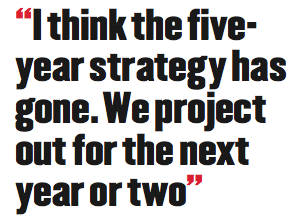 "I think the five-year strategy has gone; we project out for the next year or two in terms of innovation. We stay close to our media landscape and close to audience behaviours and we then create strategies that we believe will be the most effective for our clients. And they may change because what we were doing even two years ago has not the same impact as today." So, Weber has been busy equipping itself with the right skills for a world of runaway change: "We have broadened the agency’s offer, its skill set and talents. We have recruited people in data analytics, in strategic planning, the creative department, the production department, a digital team and a social team." But she thinks data analytics are the key to staying topical and relevant. She says: "If you have a strategy that is data analysis-driven, when behaviour or tastes change, you will always be informed." The second thread is internal, a strong focus on the Weber Shandwick employer brand: "We are trying to build an organisation that is diverse, not just in terms of gender but ethnicity, and social class." It seems to be working. Of all the agency receptions PRWeek has loitered in over the years, Weber Shandwick’s is the only one to have staff of multiple ethnicities just wandering by. But there is something that still puzzles. If you look at Friend’s Twitter feed, you will find thousands of tweets about Weber Shandwick but not one expresses a personal opinion or preference. You get no idea about Friend, her interests, her politics or her tastes. What is the point of being a leader if you cannot express your own opinions? Or is that just a stale male take on the nature of leadership? Former colleagues say her reticence does not reflect her but the cautious, controlled approach of American businesses. "Weber Shandwick [and its owner IPG] is very corporate, they really control external messaging," one ex-colleague points out. "Even anodyne opinion pieces have to go through multiple levels of clearance. She does have opinions, lots of them. But I doubt that the outside world will ever hear them, because that would be egotistical and individualistic." And that would be the very opposite of collaborative.